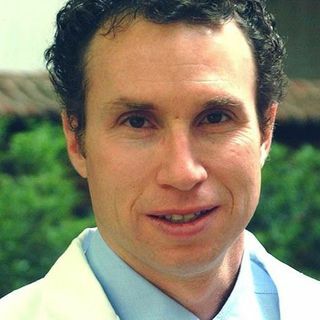 Andrew Newberg, MD, director of research at the Myrna Brind Center for Integrative Medicine at Thomas Jefferson University Hospital in Philadelphia, is one of a new breed of "neurotheologians" studying the intersections among our brains, religion, philosophy, and spirituality. Dr. Andrew Newberg is a neuroscientist who studies the relationship between brain function and various mental states. He is a pioneer in the neurological study of religious and spiritual experiences, a field ... Más informaciones known as “neurotheology.” His research includes taking brain scans of people in prayer, meditation, rituals, and trance states, in an attempt to better understand the nature of religious and spiritual practices and attitudes. Dr. Newberg has authored and co-authored a number of books including, How Enlightenment Changes Your Brain: The New Science of Transformation and was featured in the National Geographic Channel series “The Story of God With Morgan Freeman.” Visit www.andrewnewberg.com. Get the Off the Grid Into the Heart CD by Sister Jenna. Like America Meditating. Download Pause for Peace App for Apple or Android.